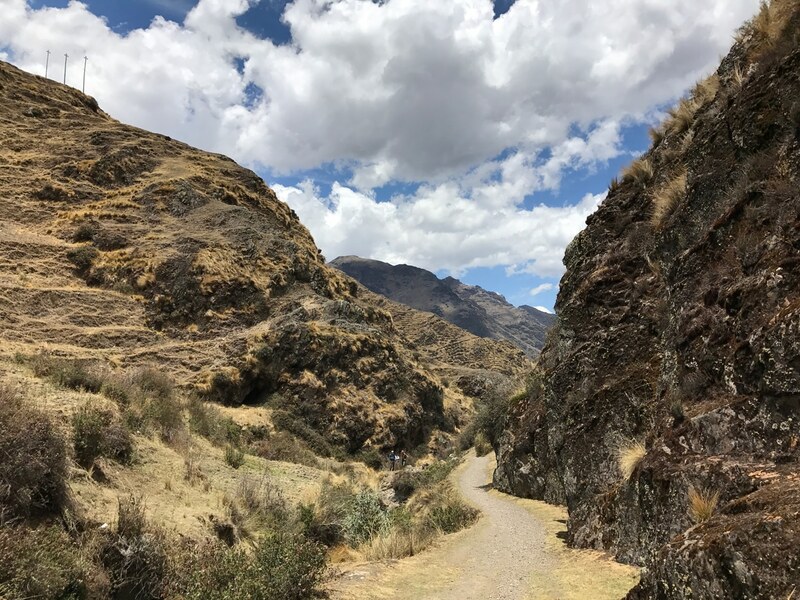 Utilizing the ancient Inca trail system this trip uniquely blends hiking in Peru’s stunning Sacred Valley and explores some of the lesser known but equally fascinating ruins. 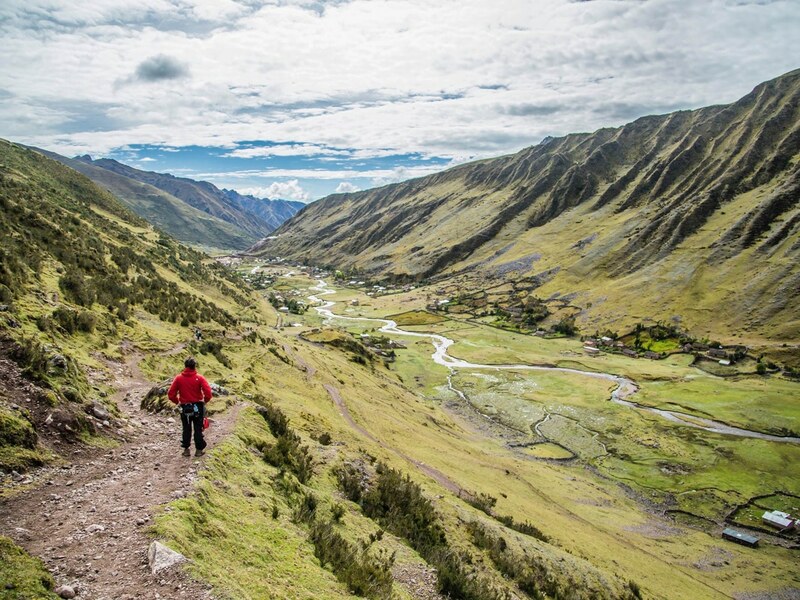 A fantastic way to view all of what Peru has to offer. 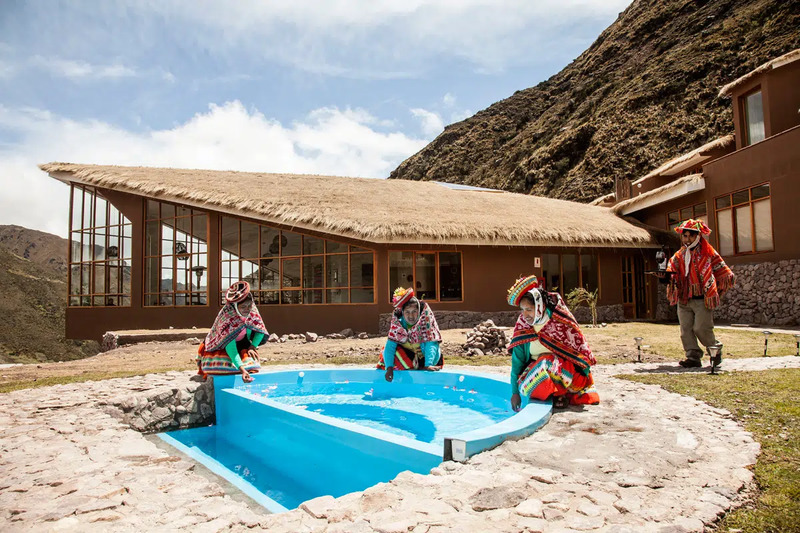 In the Andes of Peru, nestled between the legendary Inca capital of Cusco and the historic sanctuary of Machu Picchu, lies the Sacred Valley of the Incas. 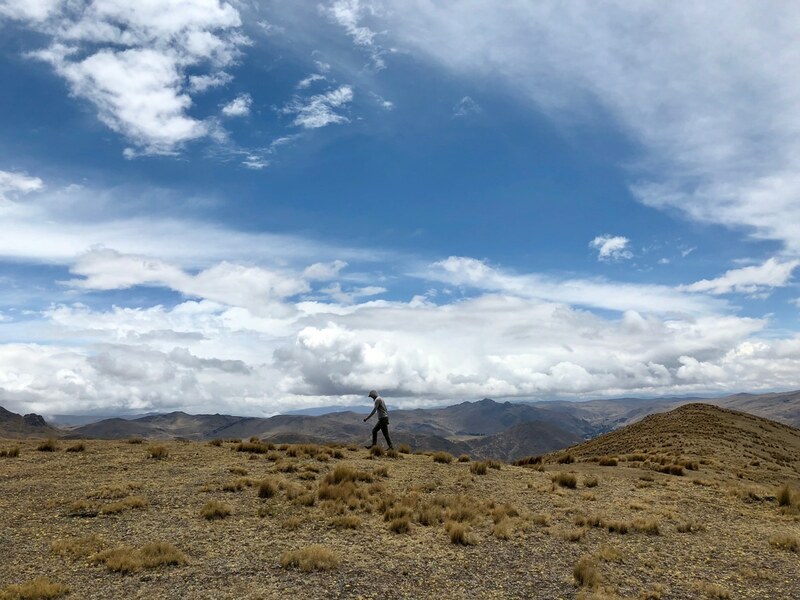 The entire valley was a revered site for the Incas and majestic archaeological sites of religious, military and agricultural significance dot the striking landscape. 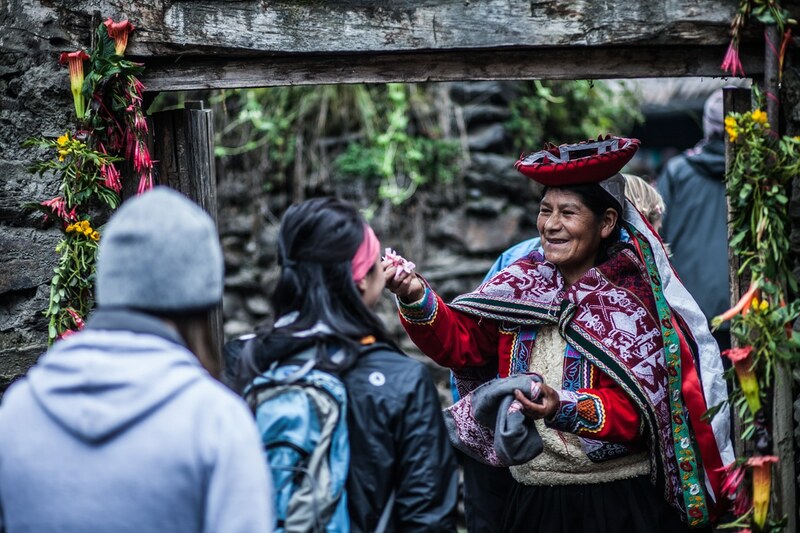 Each day will feature a stunning hike along ancient Incan trails coupled with a visit to an archaeological site. 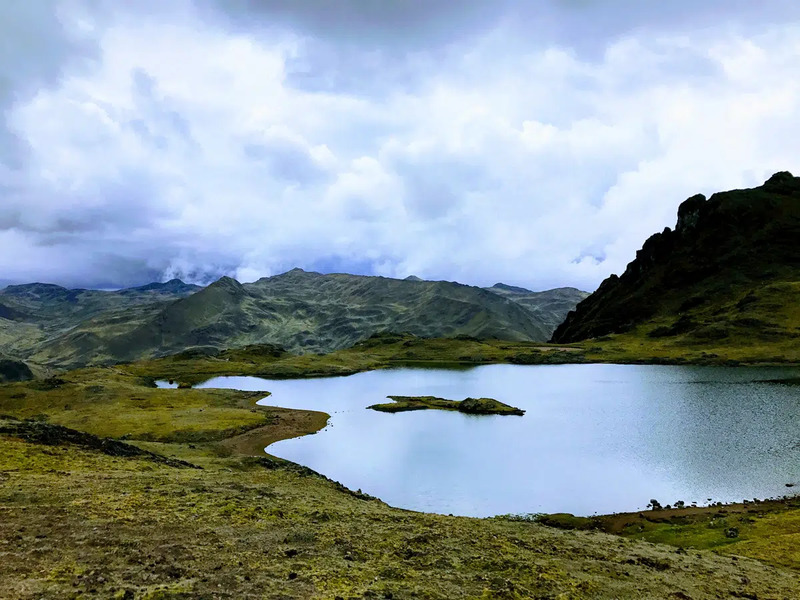 On this unique mix of hiking and cultural exploration, we will journey through the rich history and vibrant landscape of Sacred Valley, culminating in a visit to Machu Picchu. 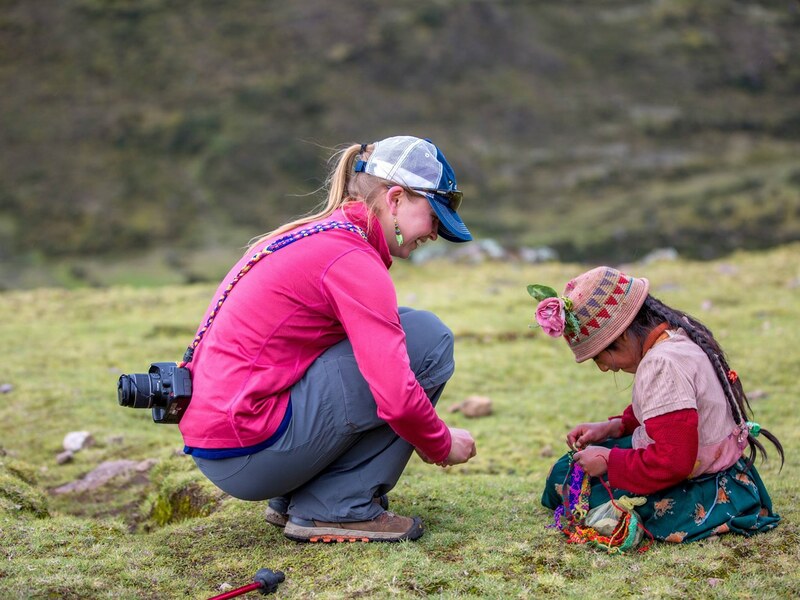 By day, we will follow ancient Incan trails over stunning mountain terrain, explore awe inspiring ruins, and share in the culture and customs of local Andean families. 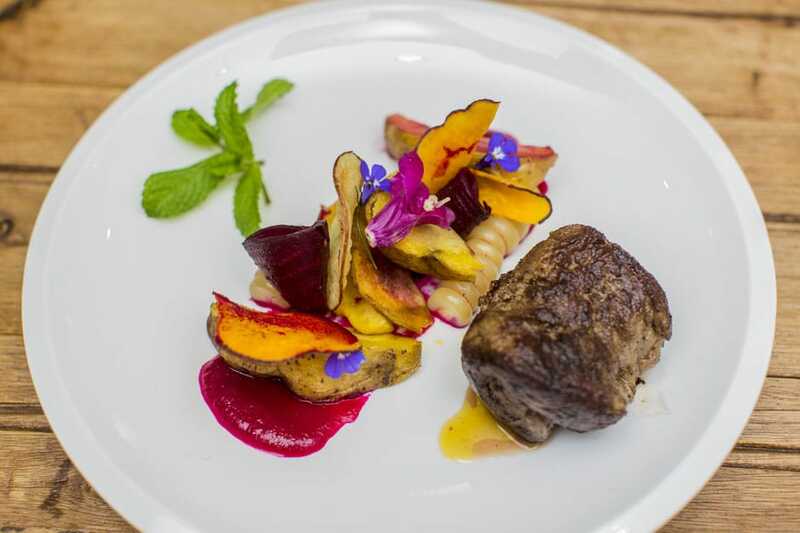 At night, we will dine on fine contemporary Peruvian cuisine and sleep in luxury lodges and hotels, ruminating on the marvels of the day over a roaring fire and a restorative soak in a hot tub. 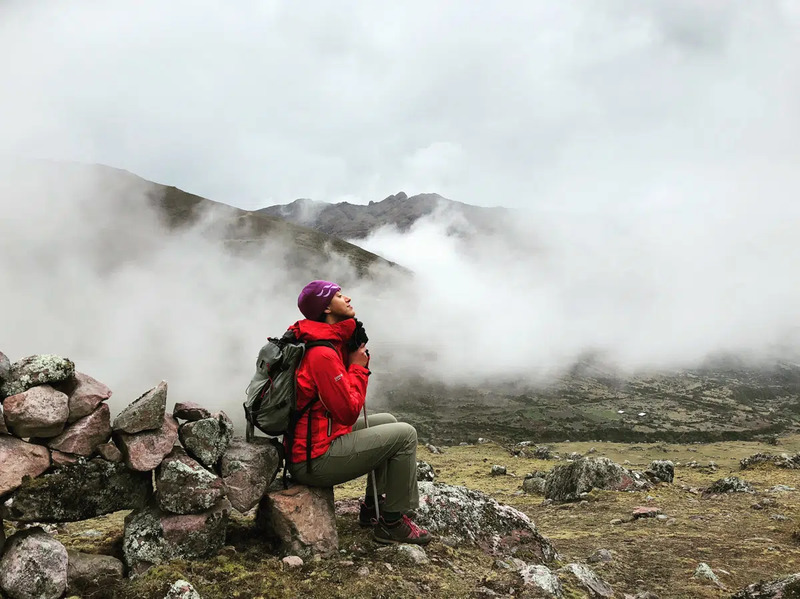 This extraordinary adventure across time and space begins in the breathtaking (11,200 ft) city of Cusco, where original Incan stonework is still liberally peppered throughout the city, juxtaposing beautifully with Colonial architecture. It’s no wonder that the city is designated a UNESCO World Heritage Site. 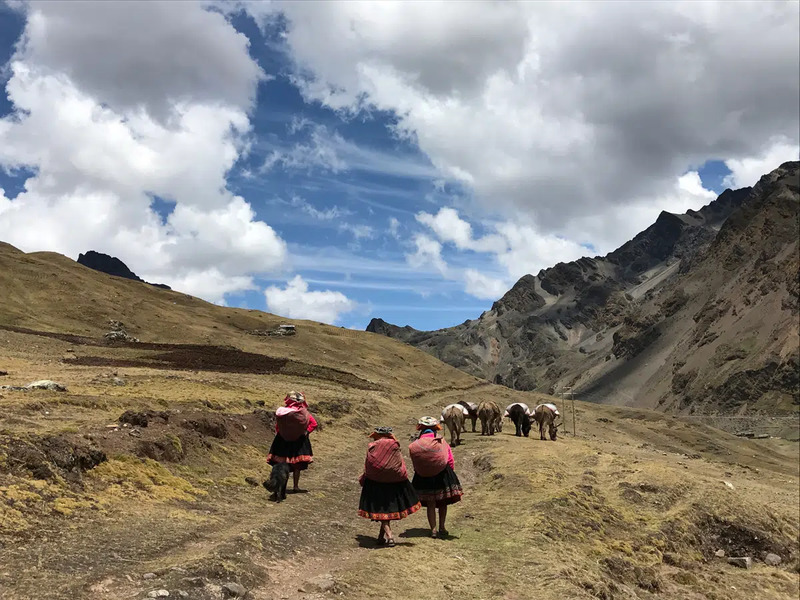 From Cusco, we will travel into the Sacred Valley, exploring the region’s archaeological marvels and hiking original Inca trails through a diverse and stunning landscape. 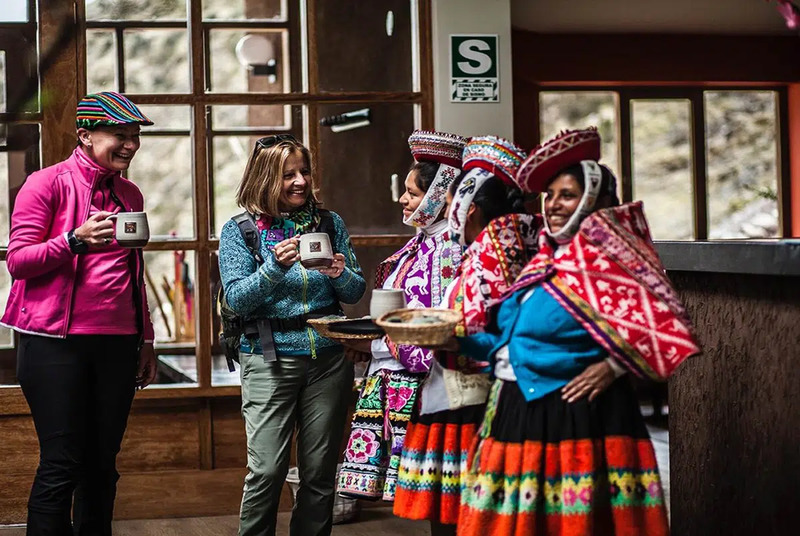 After we have drunk deeply of the history and landscape of the Sacred Valley, we will travel by scenic rail to the legendary city of Machu Picchu, nestled high in the tropical cloud forest. 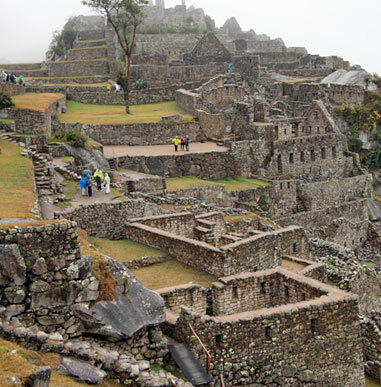 We will even scale mount Huayna Picchu, experiencing an eagle-eye view of the ancient city. Your trip is led by an Alpine Ascents professional mountain guide along with local experts. 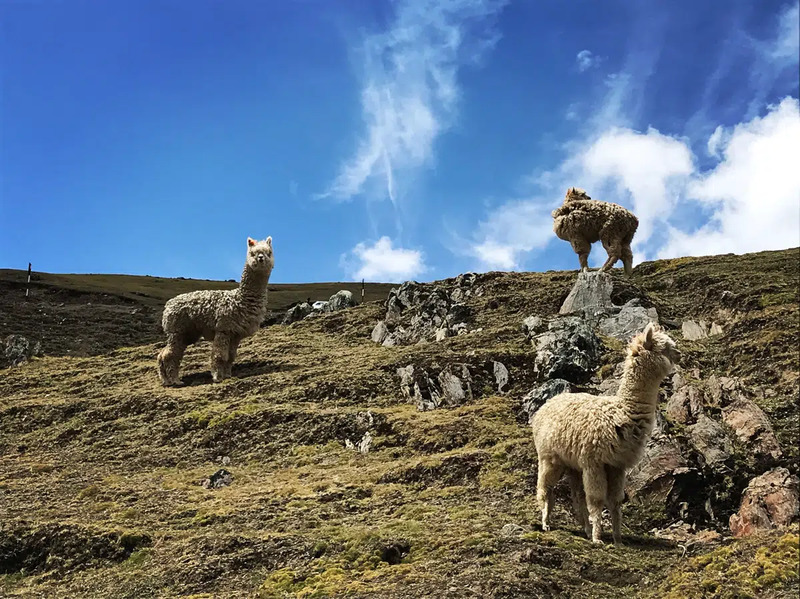 Share lonesome trails over high mountain passes and down verdant valleys with llama and alpaca, not tourists. 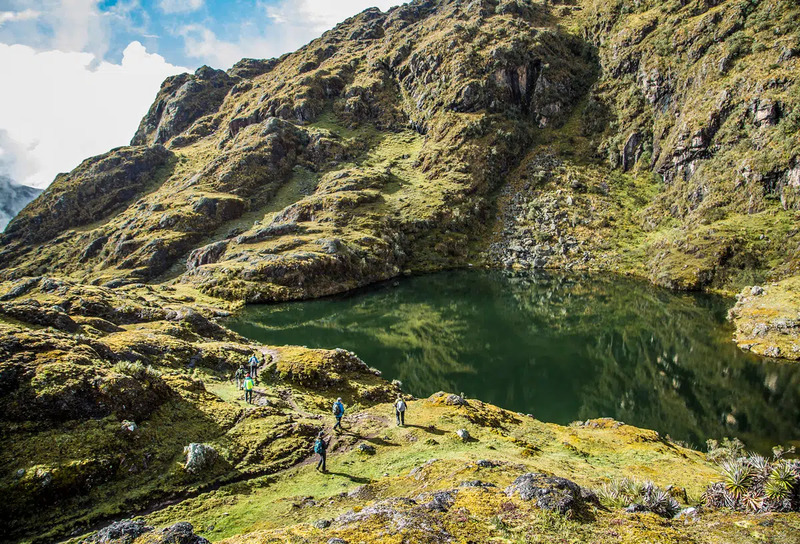 We hike on stunningly beautiful, yet seldom traveled Inca trails. 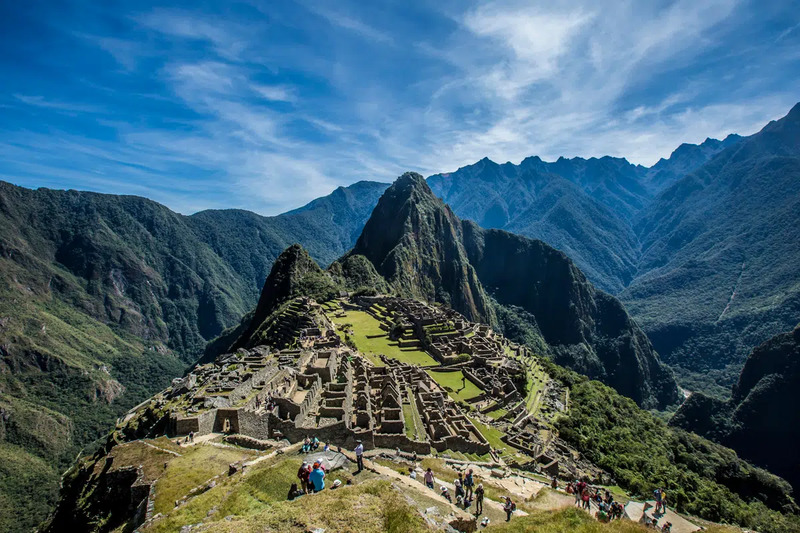 Scale the impressively steep Huayna Picchu, the mountain that lies directly behind Machu Picchu and enjoy an unparalleled view of the Incan citadel. 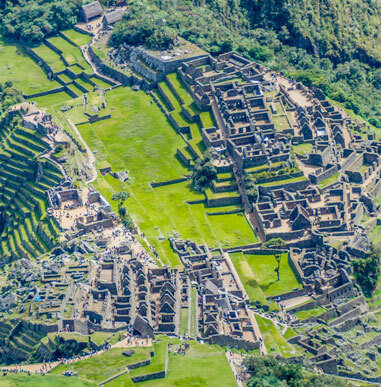 From the summit, the scale and ingenuity of Machu Picchu fills even the most seasoned traveled with wonder. Cross high mountain passes up to 14,500 feet, reveling in the thin crisp mountain air. 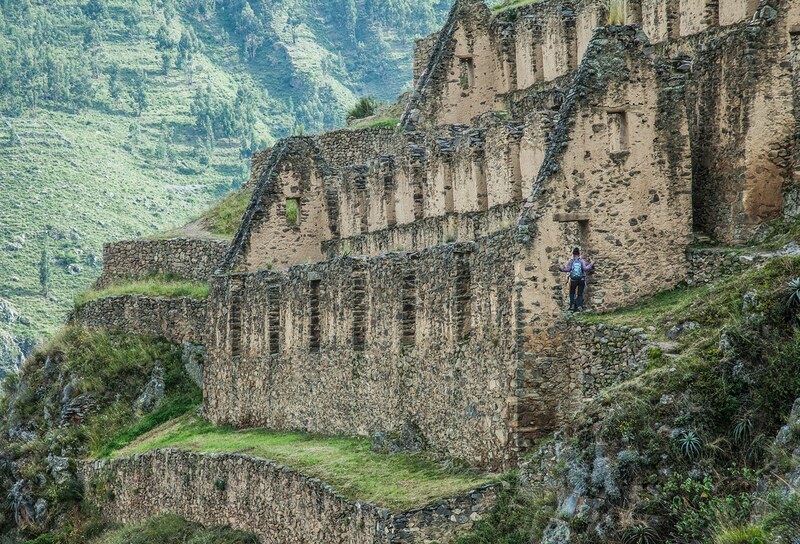 Dive into rich and mysterious history of the Inca Empire; known for its exceptional stonework, intricate textiles, and agricultural innovations. 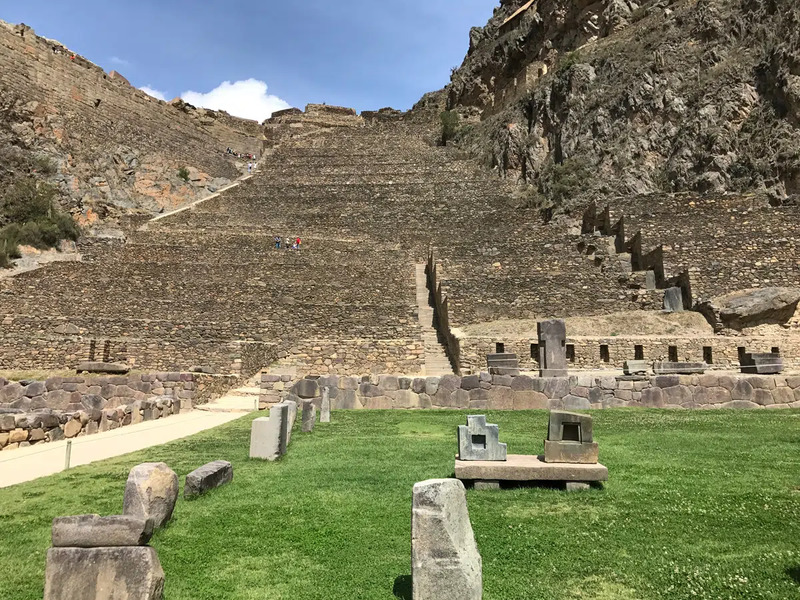 Marvel at the fine architecture of Ollantaytambo; spectacular Incan ruins featuring huge terraces and an impressive ceremonial center. 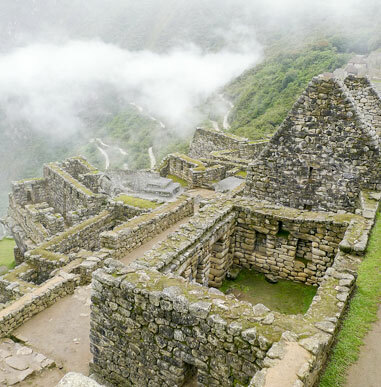 Explore the Incan hilltop citadel of Pisaq, experiencing vast agricultural terraces, the largest known Inca cemetery, and a temple complex. 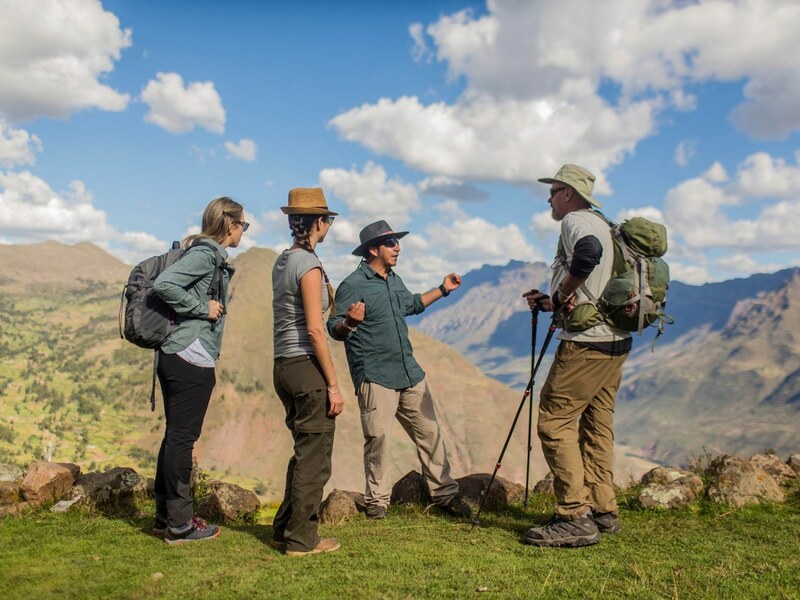 For those who wish to join but not hike, we can offer a fascinating van-supported cultural excursion in lieu of hiking. What a fantastic trip! 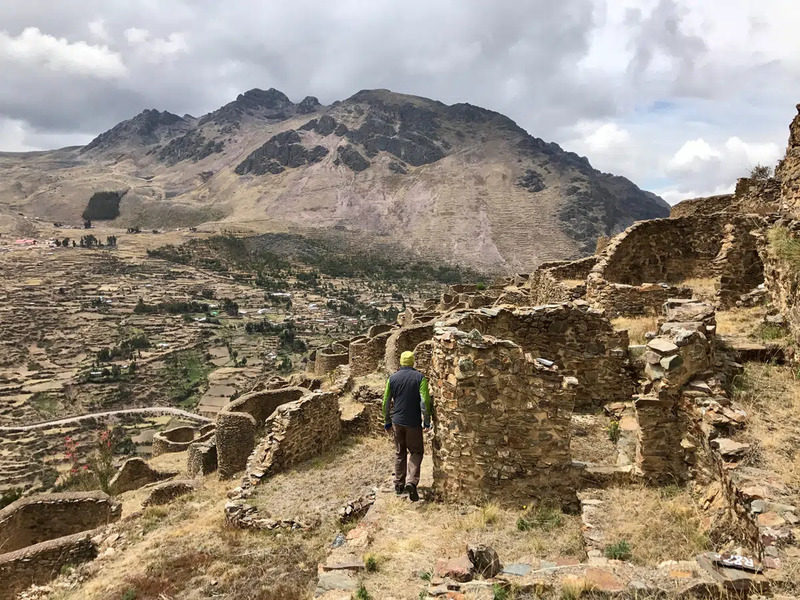 I loved the combination of hiking Inca trails over high mountain passes with a daily dose of culture in the form of exploring archaeological sites. Plus, it was always a treat to end the day at a beautiful luxury lodge with delicious food and dip in a hot tub!